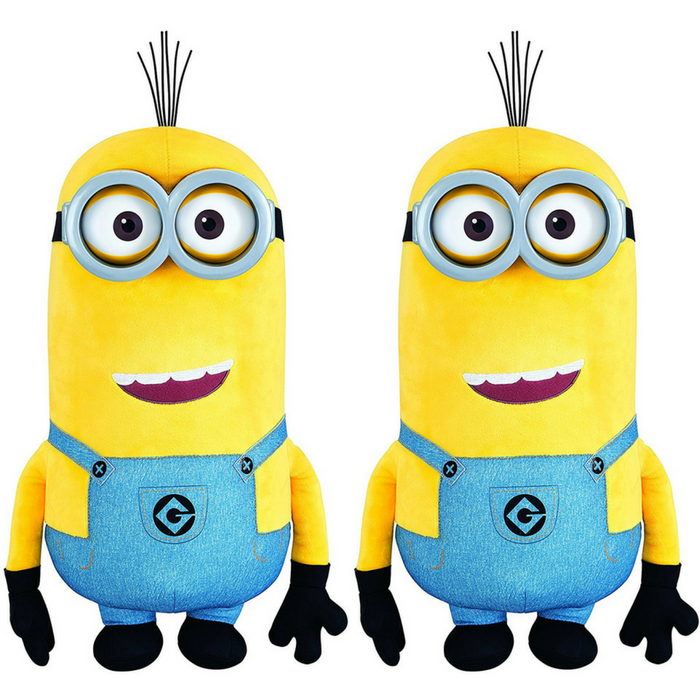 Jumbo Plush Minion Toy Just $12.40! Down From $50! You are here: Home / Great Deals / Amazon Deals / Jumbo Plush Minion Toy Just $12.40! Down From $50! Head over to Amazon to score this Jumbo Plush Minion Toy for just $12.40 down from $49.99 PLUS FREE shipping with Amazon Prime or for orders $25 or more! Jumbo talking Minion Tim plush. Huggable, soft and cozy plush. Press his hand for voice and sound effects with light-up eyes. Styled in blue denim overall. Your kids are gonna love it! Jumbo huggable, soft and cuddly plush. Soft plastic goggles, with voice and sound effects.